DC Metro Area Cricket League (DCL) is proud to announce its first BIG event of the year 2018. 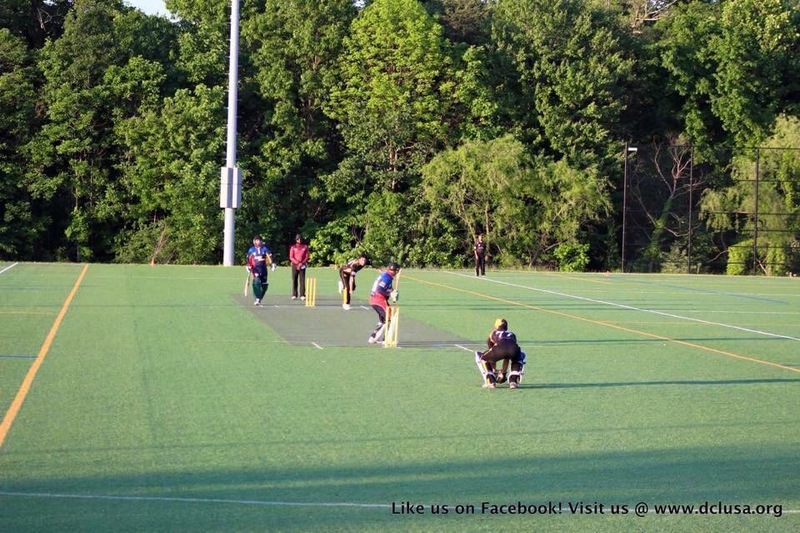 In this “season kick off” friendly game, we will be hosting MMZ Cricket Club of New York to face off against 6 times DCL champions Comets Cricket Club of Virginia. WHERE : DCL field in Oakton, VA. Please join us to welcome our gracious guests, and enjoy the game of cricket at its best. Lots of action coming your way this year 2018. Please join us to witness cricket at its best in a very interesting bilateral Series, and Tournament(s) formats. For details, kindly visit the Schedule page. To register in future DCL events kindly visit the Contact Us Page. We thank all the participating teams and volunteers of DCL for making year 2017 yet another success. Stay tuned for a lot more (Hard ball and Tape ball) action coming your way in season 2018. WHERE : DCL field(s) in Fairfax County, VA.
For inquiries, and / or registration request please visit our Contact Us Page. Despite weather delays season 2017 is finally on the move. Exciting bi-lateral series already under way. Stay tuned for the details on our upcoming annual flagship event “DCL Fairfax County Cup 2017”. For inquiries, and / or registration request about future DCL editions, please visit our Contact Us Page. With one win each, the series has reached the 3rd and the final game, to be played on Tuesday May 23 @ 7:30pm. Comets CC and Dulles CC. We thank all the participating teams and volunteers of DCL for making year 2016 yet another success. Stay tuned for a lot more (Hard ball and Tape ball) action coming your way in season 2017. Teams (DCL/FCPA Cup, Fall 2016). Congratulations!!! 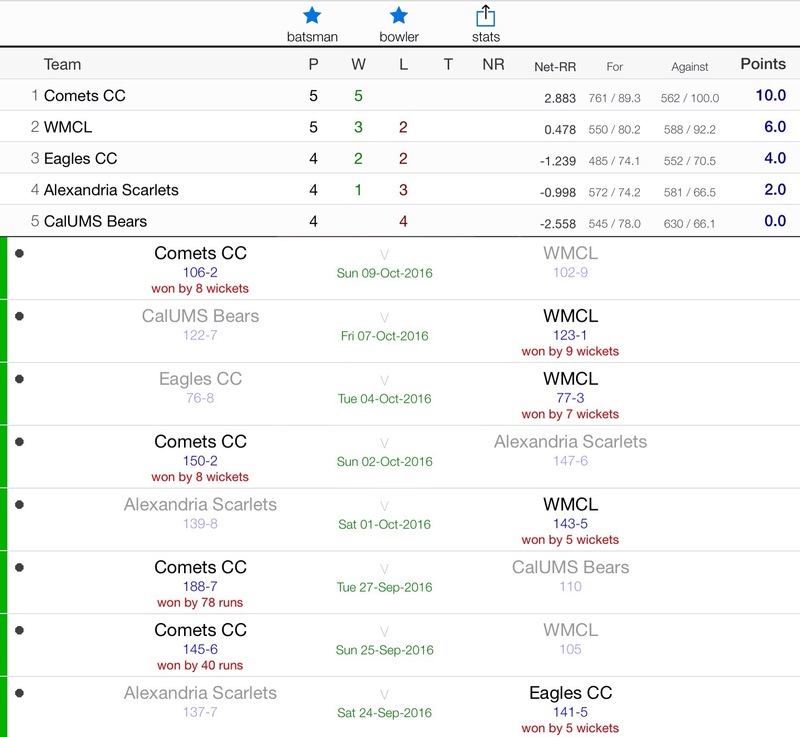 Comets CC for their outstanding performance throughout the tournament and the stunning victory in Final of DCL-15 FCPA Cup, Fall 2016. Schedule (DCL/FCPA Cup, Fall 2016). Date of the final game is subject to re-confirmation. Lots of action coming your way this fall. Please join us to witness cricket at its best in a very interesting bilateral Series, and Tournament(s) formats. For details, kindly visit the Schedule page. To register in future DCL events kindly visit the Contact Us Page. Congratulations!!! Eagles CC for their outstanding performance and the stunning victory in Final of DCL/FCPA Cup, Spring 2016. 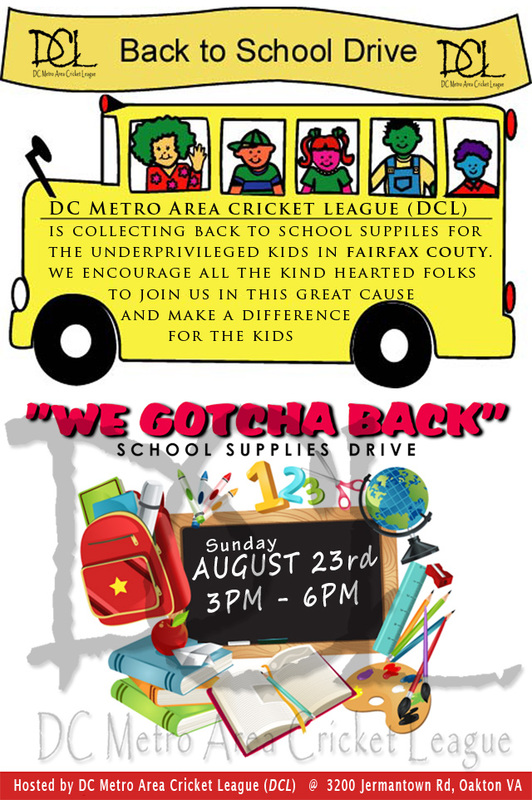 DC Metro Area Cricket League (DCL) is proud to announce its next BIG event. DCL / FCPA – Fairfax County Cup, Spring 2016. 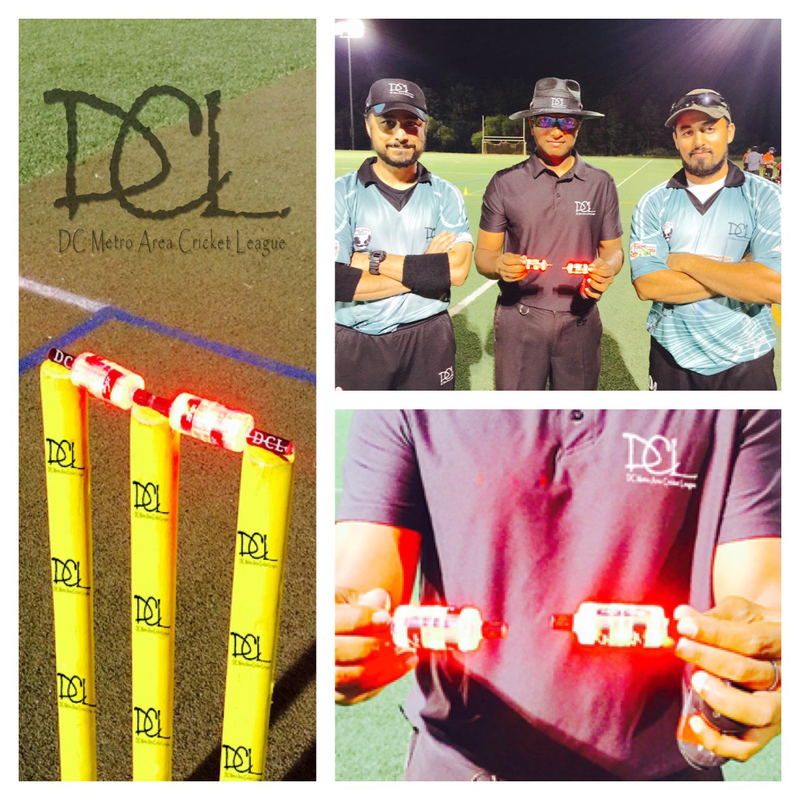 DCL is proud to be the first organization in North America to launch the “FLASHING BAILS”. In the long list of initiatives that we have taken for the betterment of Cricket in the region, this is yet another accomplishment / milestone of DCL. Let us all work together to take Cricket to the next level, and serve the sports that we all dearly love. Congratulations!!! Comets CC for their outstanding performance throughout the tournament and the stunning victory in Final of DCL-13 Fairfax County Cup, Fall 2015. Are you satisfied with the same old low bounce cricket pitches and dead outfields, with a lousy management setup ? If your answer is YES, there is no need for you to read further and we thank you very much for your time. But if your answer is NO, then you are at the right place and we welcome you to DC Metro Area Cricket League (DCL). DCL IS WORKING HARD AGAINST ALL THE STATUS QUO FORCES TO PROMOTE QUALITY CLUB CRICKET CULTURE IN THE REGION. Super fast synthetic turf outfields with flood lights. Excellent management team to run the whole setup. Most user-friendly terms with NO long-term contractual obligations. At DCL your team can participate in a tournament, bilateral series and friendly practice games. 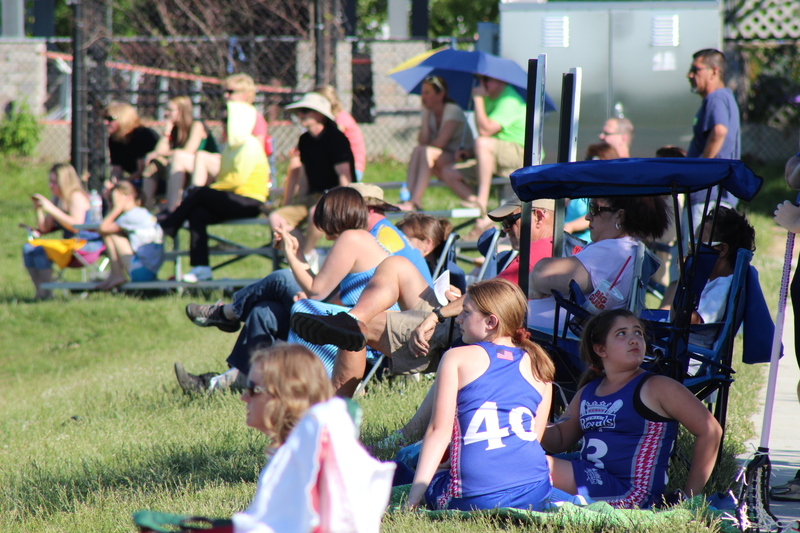 Most of the games are played in the evenings (FRI-SAT-SUN) under lights (subject to scheduling). DCL’s outstanding management team has worked tirelessly to provide such a wonderful platform. We are very confident that you will experience a completely different level of cricketing environment than what is prevailing in the area. DCL has joined hands with Fairfax County (NCS) to work on different charity causes throughout the year. This is part of the initiative called “FAST” (fairfax athletes stand together) in which different athletic group of the county will work together to help the underprivileged segment of the society. 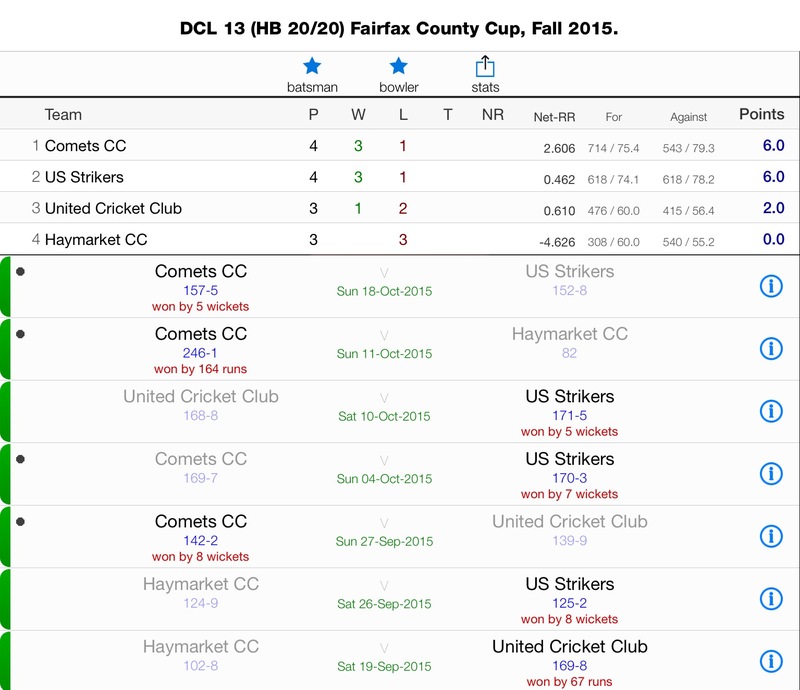 COMETS CC and MAVERICKS CC made to the final of DCL -12 Fairfax County Cup Spring 2015. Both the teams showed great skills and outstanding performance against their opponents in the round games, earning them the well deserved spot the final showdown of the tournament. Kindly join us for this final game. Please stay tuned for the date and time. We want to thank all the participating teams, management staff and the all important volunteers of DCL from the bottom of our heart to make season 2014 yet another success. 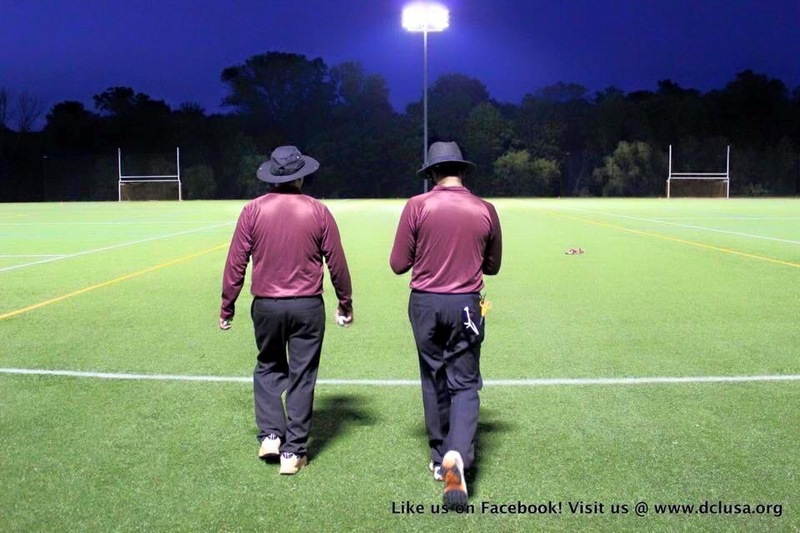 Registration for DCL Fairfax County Cup Spring 2015 is open now. We are accepting applications for new teams interested to participate in the event. Only limited spots are available. For registration request kindly visit our Contact Us page. Please join us at the DCL- HB 20/20 Event. Come see the live action and witness the wonderful sport of cricket at its best. Stay tuned for further details. DCL – 10 FAIRFAX COUNTY CUP, FALL (2014). For upcoming fixtures kindly visit the Schedule page. For up to date Match Report kindly visit the Result / Score page. For detailed ranking info kindly visit the Ranking & Stats page. To register in future DCL events kindly visit the Contact Us Page. We thank all the participating teams and volunteers of DCL for making DCL-9 yet another success. Stay tuned for a lot more (Hard ball and Tape ball) action coming your way in season 2014. To inquiries and registration request for the future DCL editions please goto Contact Us Page.